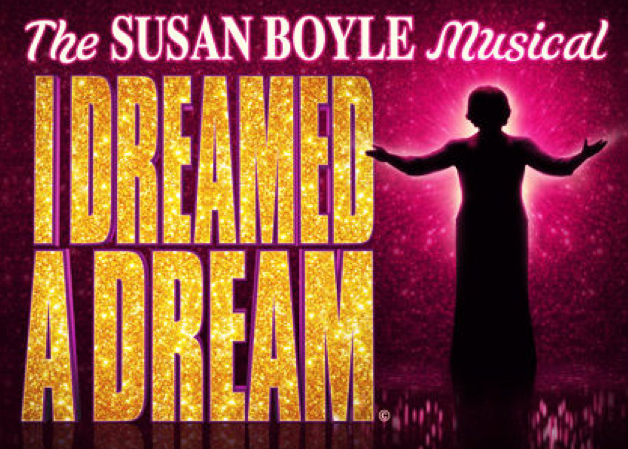 Elaine C. Smith’s starring role as the “inner voice” of Susan Boyle packs an emotional punch in this, her musical I Dreamed A Dream. It certainly can’t be said that this is an uplifting tale of one of the “little people” and her glorious rise to stardom – be prepared to leave the theatre having seen an often depressing and heart-breaking story powerfully told. From oxygen depravation at birth, severe school bullying, over-protective parents demolishing her chance at love, to heartbreaking loss and her horrific treatment by the tabloids, it leaves no stone unturned in its telling. And it is all the better for it. In returning home to Scotland, where this show’s language and cultural references have the most resonance, where the audience can draw direct parallels with their own up-bringings, it held the sold-out audience firmly in its grip from start to finish. There were moments when the audience, so in its thrall, were so silent you could hear a pin drop. It would have been easy to tread lightly, to gloss over the rough patches but this is a braver story to tell and one which will leave a lasting impression on the audience of how the real story behind the show-biz sparkle isn’t as fairy tale like as we want or imagine it to be. And I hope it’s rapturous reception gives Susan Boyle some comfort from the life-time of heartache she has endured in its creation.